You are here: Home > Spa > Organic Spa - NEW! 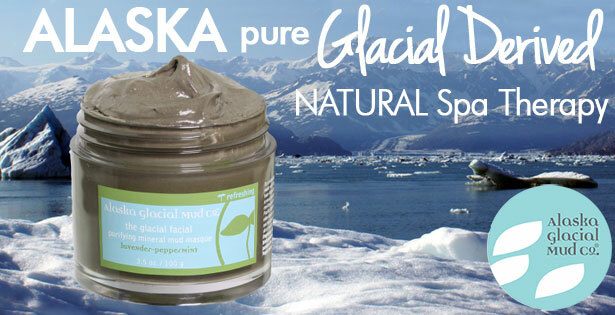 > Treatment Supplies > Alaska Glacial Mud Co.
Purify your clients' skin with pure, mineral-rich glacier derived mud, hand scooped from the Copper River Delta in Alaska. 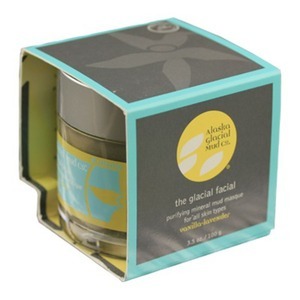 60+ trace elements promote healthy skin cell regeneration. Products exfoliate, soften, and nourish skin. 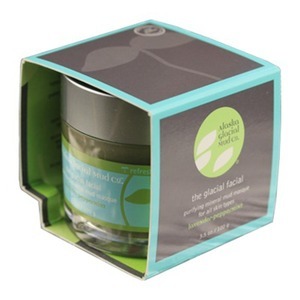 Enriched with organic, Pacific Northwest botanical extracts. Gentle and balanced for all skin types. 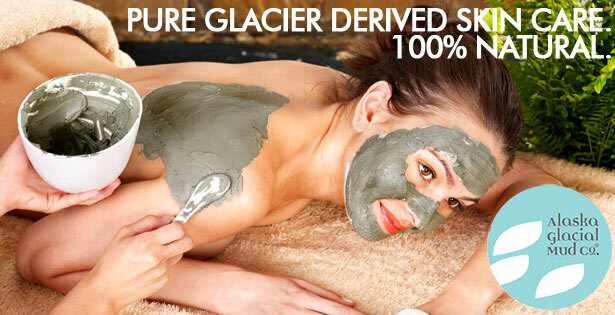 Start offering "Glacial Facials" Today! 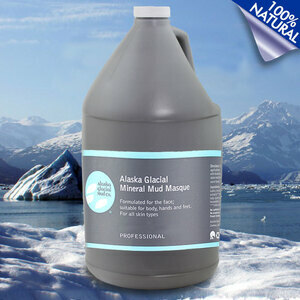 Founded in 2006, Alaska Glacial Mud Co. sustainably hand-harvests pure glacial mineral mud from the vast Copper River Delta where it is deposited by the river at the impressive rate of 60-100 million tons annually by timeless glaciers that have ground remote mountains into pure mineral-rich powder. 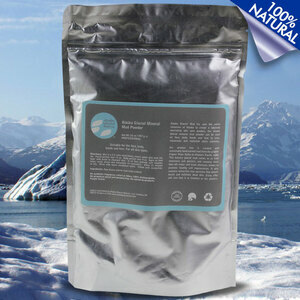 We supply glacial mineral mud raw material and manufacture a niche line of glacier derived spa therapy products. Where the river meets the sea. 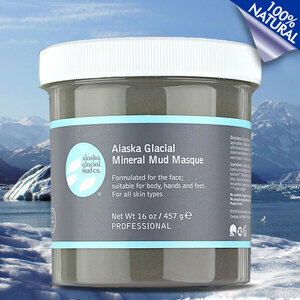 The luxurious spa quality of glacial mud is well known by Alaskans who grow up bathing in its buttery texture. 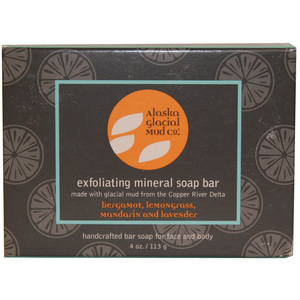 The idea for Alaska Glacial Mud Co. in particular was on a life-changing rafting trip down the majestic Copper River. After an exciting lunch spying on brown bears fishing for salmon on the opposite side of the river, we decided to take a dip in the clear glacial pools. Soon after stepping into the pool, our feet sank into buttery mud, and it was a divine sensation. We proceeded to cover our faces and bodies in the silky mud pretending to be guests at the most wild spa in the world. After washing it off, our skin was soft and glowing! As the founder of Alaska Glacial Mud Co., little did Lauren Padawer know that a riverside spa treatment amongst bear tracks and the wild call of eagles would be her future. 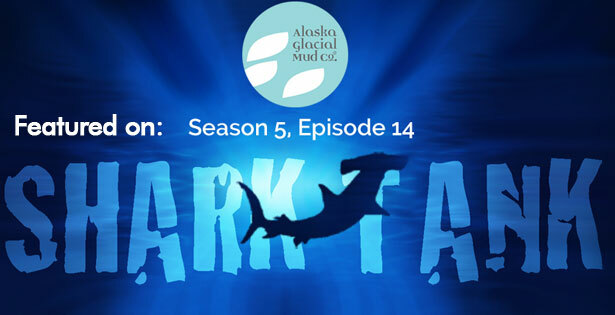 And that’s when Alaska Glacial Mud Co. began!